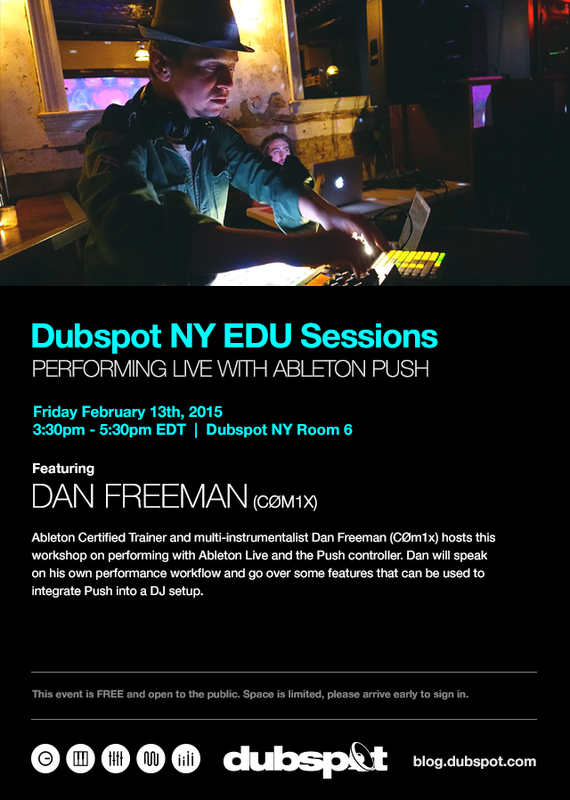 On Friday February 13th, our Dubspot NY EDU sessions continue with a workshop on performing live with Ableton Push. Hosted by Dan Freeman (CØm1x). Ableton Certified Trainer and multi-instrumentalist Dan Freeman (CØm1x) hosts a special workshop on performing live with Ableton Live and the Push controller. Dan will demonstrate his performance workflow and go over some features that can be used to integrate Push into a DJ setup.